There was a scheduled tour of the reservoir on Sunday. Christina had contacted Councilman Tony Avella's office to invite him to see the place first hand. She would be leading a group for him and a few other people. I wasn't scheduled to lead any groups, but decided to trail along and answer any nature questions. My wife and I headed over to the reservoir early because I wanted to set-up my BirdCam in a discrete location. It would be left there for a week. I chose a location that looked like it would be "birdy". 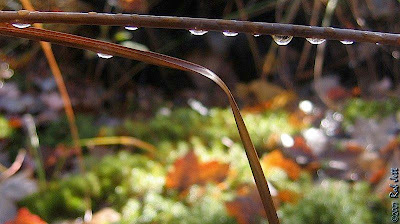 There was a small, grassy opening in the woods that looked good. As I approached I flushed a woodcock. My wife asked why its wings made a whistling noise when it took flight. Hmmm, because it's a woodcock? I'll have to look that one up. As we were walking back to the meeting place in the parking lot, I noticed a small group of people already on the running path. I asked a gentleman at the head of the group if they were there for the tour. It turned out that he was Tony Avella and that he had another commitment later on and wanted to get started. So I gave them the nickel tour. He was impressed, of course, and who wouldn't be? It's a dense forest in New York City. 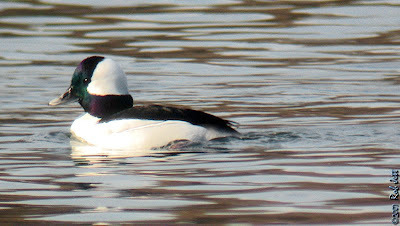 At an opening along the edge of the lake I pointed out a small flock of Ruddy Ducks and a single Bufflehead. I explained that to some waterfowl who head south in the winter, New York City is south. Some of the ducks, I said, would likely stay on the lake until early spring. There were lots of Golden-crowned Kinglets calling and I spotted several Hermit Thrushes on the paths ahead of us. A Red-tailed Hawk made a brief appearance and two Sharp-shinned Hawks blasted by, helped by strong winds. I wanted to stop and bird, but the councilman was bolting through the area like he was preparing for next week's marathon. Before departing he said the he would do everything possible to prevent the city from cutting down any trees (see my other blog). 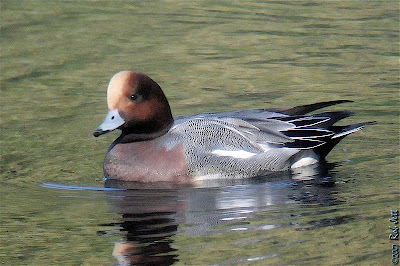 When I returned home I checked my email and read that there was a Eurasian Wigeon in Prospect Park. As much as I would have wanted to see this beautiful duck, I didn't have the time or energy. Yesterday, my friend Mary walked through the park and reported that it was still present on the Upper Pool. I had about an hour to run up to the park a take a look. I've seen Eurasian Wigeon in Prospect Park a few times, but they were always on Prospect Lake. The Upper Pool is a very small pond and affords a much closer view. When I arrived, I quickly spotted him within a small flock of American Wigeon on the east side of the pond. To get a better view, I walked around to the wooden bridge near the outflow of the waterfall. The wigeons were feeding with their chins on the water and "vacuuming" back and forth through the duckweed. I'm not sure if they were actually eating the duckweed or insects on top of the water. It looked pretty funny. 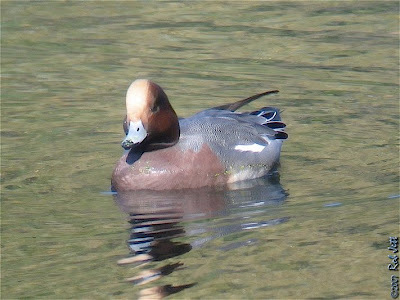 When I began birding in Prospect Park, about 12 years ago, American Wigeons were a common overwintering duck on Prospect Lake. Ruddy Ducks were present, but in small numbers. Over time that has shifted to the point where ruddies dominate the lake and wigeons are rarely seen. 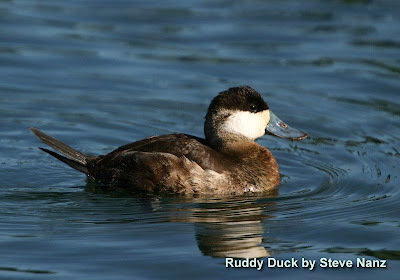 I don't know why it occurred as Ruddy Ducks aren't particularly aggressive, in fact, they are just the opposite. Maybe a food source that they relied on is no longer present. I miss being able to walk down to the lake during the cold months and hear their "squeaky toy" calls. The rain ended in time for us to venture to the roof for sunset. Five crows were making a lot of noise in the sky near Grand Army Plaza. We assumed that they were harassing a hawk, but didn't see any. After a few minutes we spotted one over the turret of 35 Prospect Park West. She didn't seem too concerned with the crows, but several times flipped upside-down and displayed her deadly talons. The crows finally gave up and flew west, down the slope. 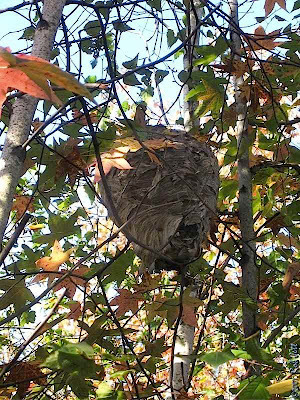 Her mate appeared about a block away, kiting above the triangular apartment building at the corner of Park Place. Whenever I watch the hawks on the top of the 18 story building I wonder how they see the park. Thanks to the Internet and real estate agents, I now know. 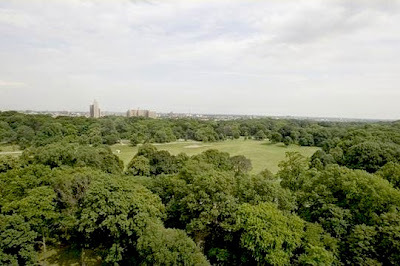 This is a photograph of the north end of the Long Meadow, facing south east taken from the penthouse apartment. Fifteen years ago the crows greatly outnumbered the local Red-tailed Hawks. It was common to see a flock of 20 to 30 crows intimidating and chasing off a hawk. For reasons that are unclear to me, it is now unusual to see a flock of more than a few crows around Prospect Park. Saturday was the last day of our autumn bird survey, although I suspect some of us will be over at the reservoir a few more times before winter officially starts. 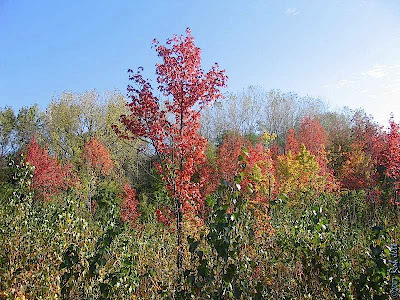 The leaves on the birches, sweetgums and cottonwoods in basin #1 have turned various shades of burnt orange to fiery red. Sparrows have arrived in force. All of the low grass and scrubby habitat surrounding the basins were loaded with Song Sparrows, Swamp Sparrows and White-throated Sparrows. 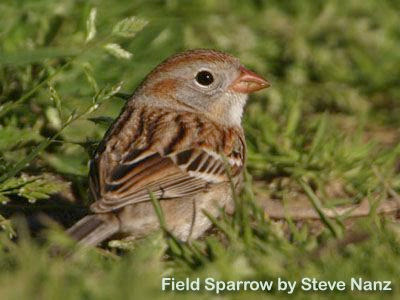 The make up of the sparrow flocks were similar to what I had observed in the “Sparrow Bowl” in Prospect Park. As usual, we divided into two groups to cover separate areas within the reservoir’s boundaries. 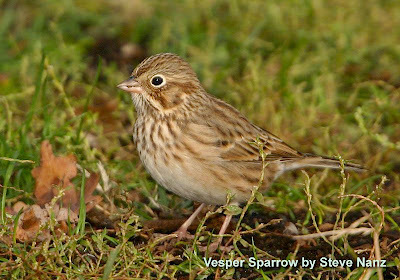 The highlight for Steve’s group was locating a Vesper Sparrow in a small, grassy meadow. I was slightly jealous as it is one of my favorite sparrows and seen infrequently around the city. Shortly after we began our survey, the wind started to pick up and by 10:00AM it was blowing hard. The flock of Wood Ducks that had been hanging out on the lake had taken shelter within the dense reeds that ring the basin. We didn’t see the Pied-billed Grebes, but the could have also been hidden in the phragmites. Despite the strong wind, several raptors were seen hunting in the area. A Northern Harrier spotted by Gerry was the first one we’d recorded at the reservoir. Also, with winter just around the corner, I guess I shouldn’t have been surprised by the presence of Purple Finches. They were another “first” for our survey. I took my group to the habitats around basin #1. Our first “good” bird of the day was a Nashville Warbler. By noon we had recorded five species of warbler. I’m beginning to think that American Woodcock are residents of the Ridgewood Reservoir as I flushed three with my group. I’ll have to check, but I think, we’ve recorded woodcock every month. 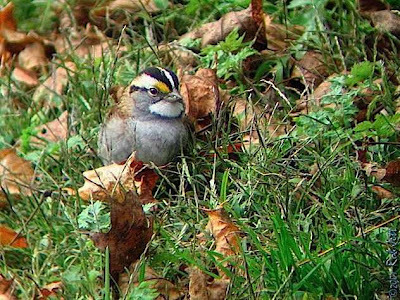 Golden-crowned Kinglets are moving through the city in good numbers and several were seen at the reservoir. I expect to find small pockets of them throughout the winter. 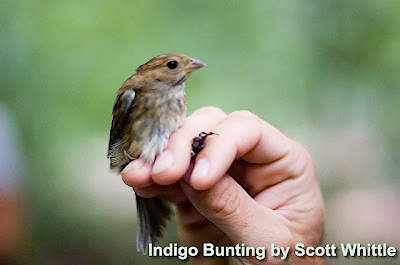 For such tiny birds, they are amazingly hardy. 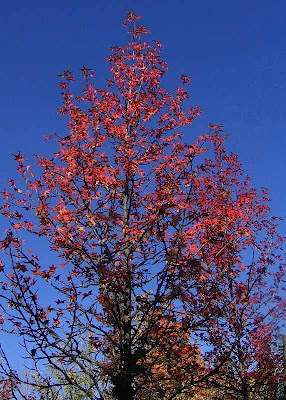 Of the winter arrivals, we should see Yellow-bellied Sapsucker, Red-breasted Nuthatch, Golden-crowned Kinglet, White-throated Sparrow and Purple Finch through to next spring. It will be interesting to learn all the other species that call the reservoir home during the cold months. On Friday night I was walking back home from Steve and Heidi's house. I walked along the edge of the park. The air felt really odd and, out of sync with the calendar. It was so warm that I was wearing shorts and sandals. I've been hearing ground and tree crickets nearly every day since the summer, but as I passed the playground near 9th Street, there was also a single katydid singing. Halloween is right around the corner, I don't think we should be hearing katydids, let alone wearing shorts. I had about a hour to spare at the end of the day, so I decided to take a walk up to the park. It occurred to me that I might be able to set-up the Birdcam pointed at the Ravine hawk nest. When Alice and Ralph begin using it next season, I could take daily, time lapse photos. Anyway, I wanted to scout out the surrounding trees for ideas on how to attach the unit. There was a film shoot setting up in front of the Picnic House and I stopped to check it out. As I was standing on the sidewalk I noticed some sparrows in the grass beside me. 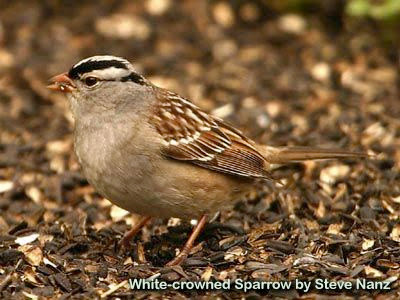 They were mostly just House Sparrows, but there was also a single White-crowned Sparrow. It reminded me that sparrows were migrating, so I decided to swing by the “Sparrow Bowl” to take a look around for a few minutes. The grass had been recently cut, but there was still nice edge habitat with lots of seed-bearing grasses and other low forbs. I should have approached slowly, because I immediately flushed a large mixed flock of sparrows that had been feeding, hunkered down and hidden by the grass. Moving back, to what I thought was a safe distance, I sat down and waited for them to return. It only took a few moments, but the hungry birds flew out of the longer grass and shrubs surrounding the bowl. There were a lot more of them then I initially observed. Song Sparrows were the most numerous. At one point I counted 12 just in my bin’s field of view. A pair of Swamp Sparrows moused around the edge of the grass, never venturing far from the dense underbrush. There were also a pair of Field Sparrows eating seeds at a higher level than the Song Sparrows. I always under estimate the numbers of Chipping Sparrows in a flock as it is so easy for the tiny bird to vanish in the grass. I counted 10 among the Song Sparrows. While looking through the flock a small, warm colored sparrow perched on a black, wire fence behind the feeding birds. 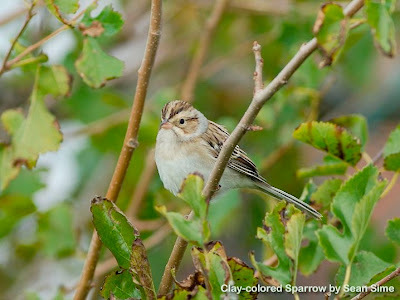 It was a Clay-colored Sparrow, a rarity around New York City. Every autumn there seem to be a few reports of this species showing up around the city. 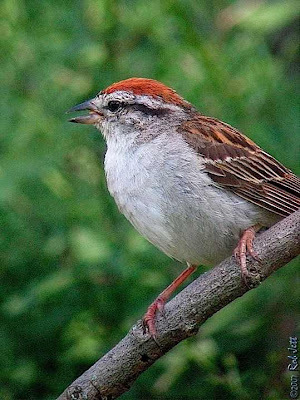 Similar in size and shape to the closely related Chipping Sparrow, it is a beautiful bird and, to my eyes, unmistakable. I spent about an hour watching the sparrows nervously feeding at the edge of the Sparrow Bowl. The Brooklyn Center for Urban Education holds classes in the Tennis House, next to the Sparrow Bowl. While I was watching the sparrows, I heard an instructor speaking loudly to a group of youngsters. At one point, I heard him ask if everyone saw the hawk in the tree. I’m not sure if it was one of the resident Red-tailed Hawks or another species of raptor, but it explained why the sparrows were so jumpy. Whenever I mention looking at sparrows to non-birders, they wonder why I would waste my time looking at such boring birds. I guess most people think of House Sparrows as being the only sparrow. Then I tell them about sparrows with pink bills or green backs or orange faces or yellow lores and they ask me where to see such exotic sparrows. I tell them to go to their local park and spend some time looking around at the urban wildlife. One never knows what they will find. I never did make it over to the Ravine to scout out the hawk nest. 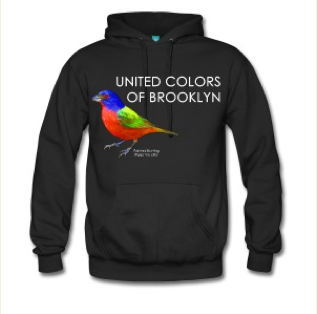 Last week the New York City birding and conservation community suffered a great loss. Al Ott past away unexpectedly. He was a bear of a man with a personality to match. Al's spirited personality left an indelible imprint in the memories of anyone who spent even just a few minutes with him. 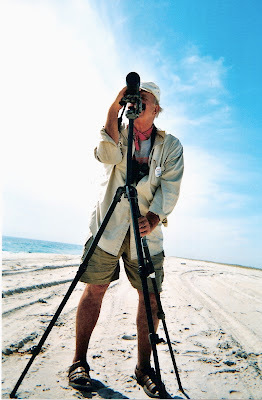 Many people will remember him as single-handedly defending Jamaica Bay Wildlife Refuge from a proposed bicycle path that would have been paved through the refuge's unique natural habitats. His imposing size and deep, powerful voice seemed a stark contrast for he was a gentle man with a quick smile, a twinkle in his eye and playful sense of humor. He had recently begun helping a group of us advocating for the protection of Ridgewood Reservoir. I'll miss him. Shane just called me from the airport. He's waiting to catch a flight to Chicago. While sitting at the food court in Delta Terminal 3, he noticed a small bird flitting around on a plastic plant. He assumed that it was a House Sparrow, but on closer inspection discovered that it was a Common Yellowthroat. He asked a worker about the bird and she said that it has been there for two weeks. He said the warbler looked like a hatch year male. Does that man ever stop finding birds? It's finally beginning to feel like autumn. There was a chill in the air the other day when I took a short walk around Prospect Park. I saw the entire Ravine Red-tailed Hawk family together for the first time since June. They were taking advantage of an updraft off of the forested, north/south spine of the park. There were two adults and two juvenile red-tails in the group. I recognized Ralph's very pale head, plus the fact that they were all "playing nice" and calling back and forth lead me to assume that it was the "Kramdens of the Ravine". At least two coots have arrived in the park and were swimming around Prospect Lake near the skating rink, a sure sign that the season has changed. 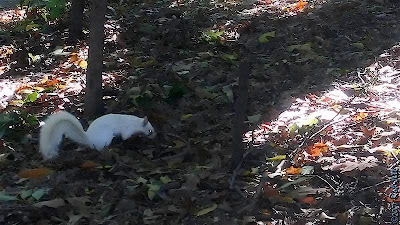 I've heard stories about a white squirrel in Prospect Park that had been caught by one of the red-tails, only to be rescued by a park patron. Rumor has it that the person scared off the hawk then brought the squirrel home, nursed it back to health, then released it back in the park. I have never seen a white grey squirrel in the park and sort of doubted the story was true...then I saw the squirrel. Unlike all the fearless squirrels that live near the Picnic House and readily take handouts, this white one was very wary. I got close enough to see that his eyes were red and any bare skin was pink. I believe that would make him an albino, as opposed to just leucistic. Either way, he's a good looking animal that makes an easy target for raptors. I'd be surprised if he lasted through the winter. Last Saturday, my friend Steve lead a trip for the Brooklyn Bird Club up to Hook Mountain, along the Hudson River. I haven't been to the hawkwatch at that location for a couple of years, so I joined them for the day. It was sunny and cool with a slight haze on the horizon. 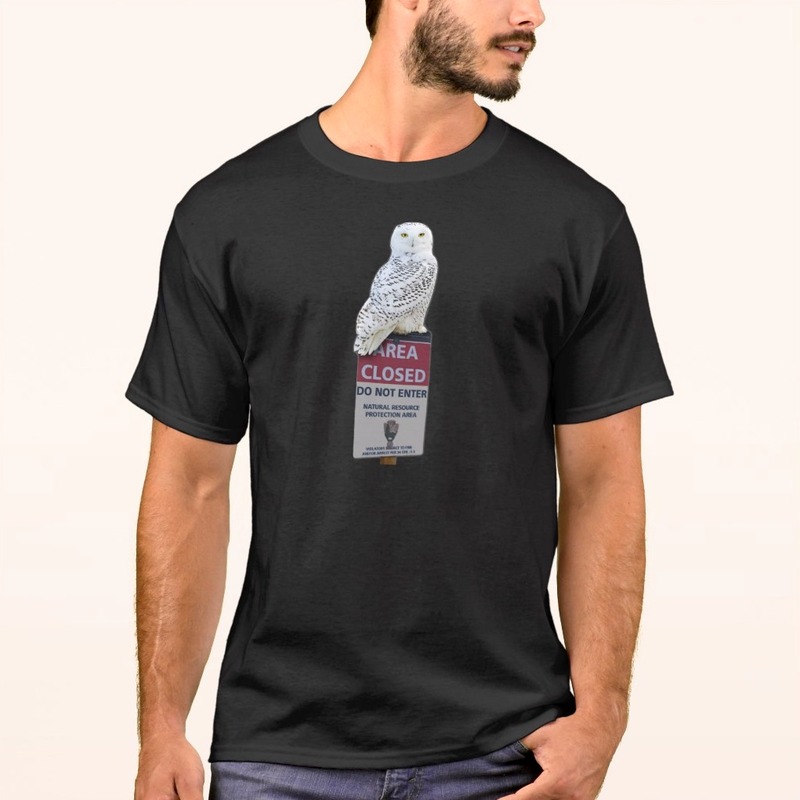 We're about a week past the Broad-winged Hawk migration, but were optimistic that we'd see some Sharp-shinned Hawks, Cooper's Hawks and maybe a couple of falcons. I brought along a Wingscape Birdcam to test out. My plan was to attach it to a post that is topped with a plastic owl. At hawkwatches, plastic Great Horned Owls are routinely used to attract passing raptors (they don't like each other) for closer looks. It seemed like a good idea at the time. Unfortunately, frequently jostling by the wind, coupled with an overenthusiastic crowd that unintentionally scared off any raptors that were heading towards the owl left me with a bunch of birdless images. I think I'll stick to a simpler approach to using the birdcam. We actually had a very good day on top of the mountain. We saw a surprisingly large number of Sharp-shinned Hawks, Coopers Hawks, Osprey, Red-tailed Hawks, Peregrine Falcon, American Kestrel, Merlin and a single Bald Eagle. In the non-raptor category were lots of Turkey Vultures a few Black Vultures and a raven that flew very close to the hawkwatch. 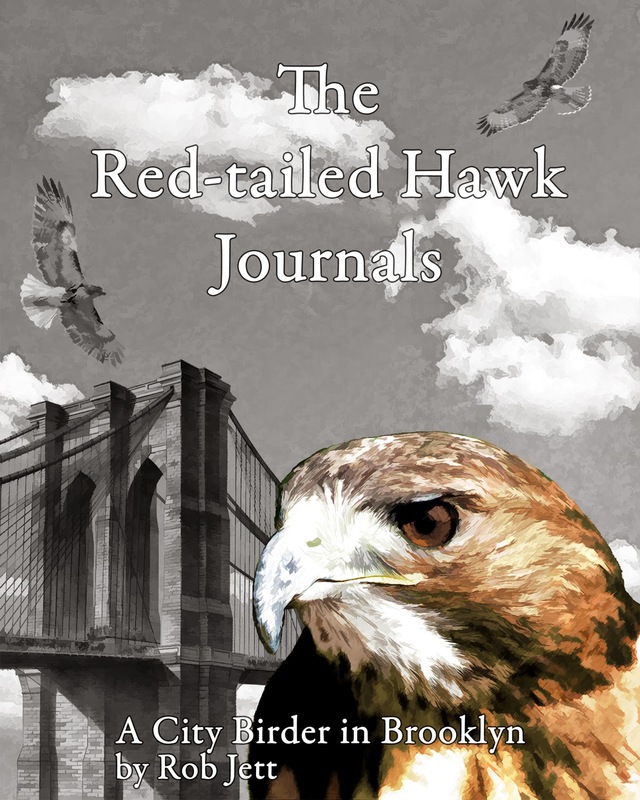 The red-tails were probably local breeds, not migrants. 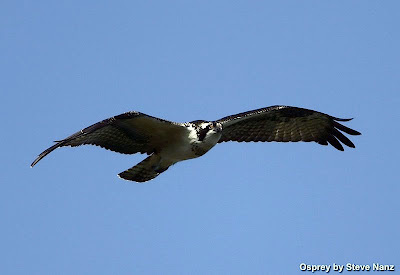 It could also be true of some of the Osprey and Peregrine Falcons seen throughout the day. 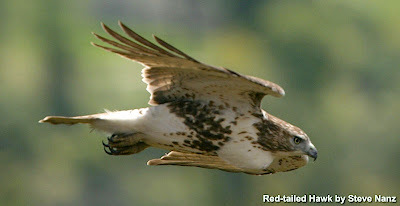 The Red-tailed Hawks were frequently seen soaring on the north side of Hook Mountain, in the valley between Rockland Lake and the ridge. Looking down on a soaring hawk or straight into the edge of their wings is a rare perspective and momentarily draws me into their view of the world. My last day of volunteering to help the WCS-sponsored research project was uneventful. I mean, like, there were hardly any birds present. I really can't complain, as it was a great learning experience. It would have been a bit more interesting had the migrating songbirds thought to accommodate my schedule. A documentary crew and a photographer who I know from birding stopped by to shoot some footage. At one point I think that there were more humans in the woods than birds. 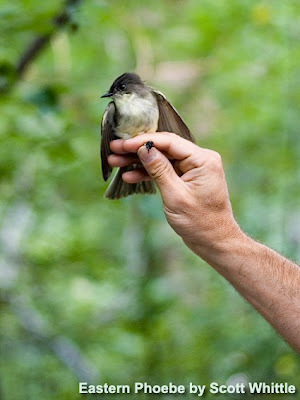 One bird that was banded was an Eastern Phoebe. Phoebe's are cute little birds that sound like a dog's squeaky toy when they exclaim in a high-pitched voice, "FEE-be". They are pretty common on migration. When the biologist was holding the bird I kept hearing a snapping sound. I eventually realized that it was the phoebe clacking its bill. Some species, such as owls, use bill-clacking during courtship. 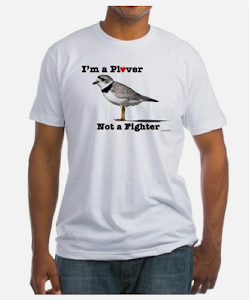 It is also used as a form of aggression towards other birds. In this case, I presume that it was stress related, as none of the individuals present were flycatchers or very attractive. As I was getting ready to leave, one more bird came our way. 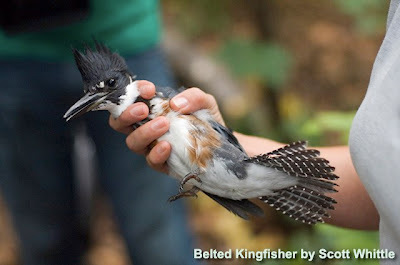 It was a female Belted Kingfisher. During my brief time with the biologists this fall, she was the only bird that seemed to look larger in the hand, than in binoculars. Maybe it was because of her scary, dagger-like bill. Her feet were very fleshy and looked almost marsupial-like. 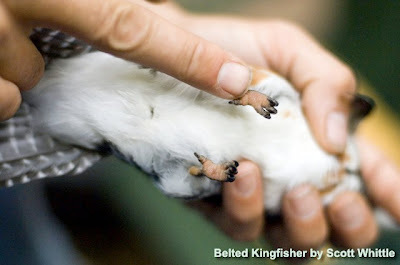 Since they spend nearly all their time in or around water, I guess it's an adaptation that helps their grip on slippery perches. Before I started helping the researchers, I was excited about the idea of taking close-up photographs of the birds. In the beginning, I did take some photos, but it wasn't very satisfying. It didn't feel right, almost like I was shooting images of an animal through the bars of a cage. When some people find out that I'm into birds, they assume that I have some pet birds at home. I think they miss the point, I would never have a caged bird. 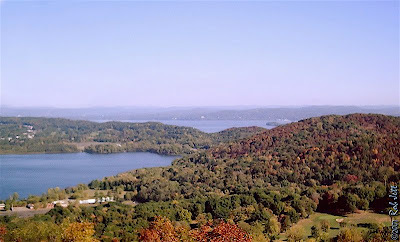 Tomorrow I'm going to Hook Mountain, just north of the city, to a hawkwatch. I have a new birdcam that I'll be checking out and hope to have some good photos to post. Before I get to my post, I want to give major props to Jose Reyes of Time-Warner cable. Three field technicians couldn't fix my month-long Internet problems so they dispatched Jose, who is an engineer. One of the first things he told me was, "I'll make sure that, when I leave here, your service will be back on." He kept his word. Unlike last year, when most of my birding and nature exploring was recreational, 2007 has taken me outdoors for specific goals. In February, I began making regular visits to the Ridgewood Reservoir as part of the ongoing bird/nature survey. Once I became sucked up into that project, I spent a good bit of my free time creating a short video about the reservoir. In addition, during the month of September I spent about 4 hours during each of several early mornings helping biologists with a migratory bird research project. I've had less time to post, but some new streamlining of my workflow should help speed future updates. On Saturday, September 29, I went back to Ridgewood Reservoir with Heidi, Steve and several other birders to continue the fall migration survey. We were all optimistic that there would be a big southbound push of migrant songbirds as there was a brief overnight cold front in the area. When everyone arrived, we split into two group. Steve lead a group around basin 1 and the northern habitats. I took a group around basin 3 and the south end. I've just begun scrutinizing the northern end of basin 3 which, for the most part, is dry. The end closest to Vermont Avenue seems to be on a slight decline and there are some signs that it is flooded seasonally. The understory is dominated by assorted grasses and there are few woody plants. Also, there is a clear, and very surreal border between the locust and grey birch woodlands. It looks almost as if an invisible fence was constructed to prevent the two trees from commingling. From the start of our walk there were signs that the cold front had made a difference in the bird movement. Several sharpies were seen hunting among the reservoirs woodlands. Broad-winged Hawks soared overhead along with Osprey, Cooper's Hawk, Red-tailed Hawk and kestrel. 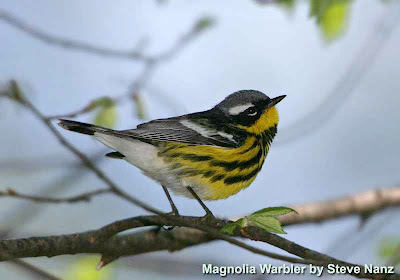 Magnolia Warblers were suddenly seen in fairly high numbers, followed closely by an increased presence of Common Yellowthroats. I was pleasantly surprised to find small groups of Blue-headed Vireo. There was a flock of 4 feeding close together in the locust trees. 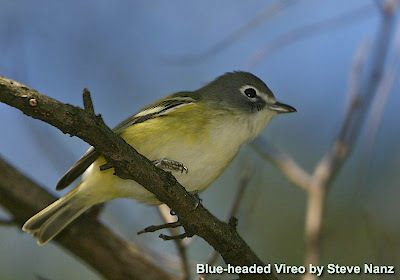 Their "old" common name was Solitary Vireo. Maybe somewhere along the line someone decided that they weren't very solitary. 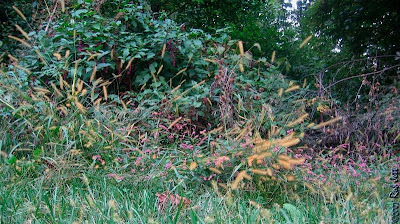 Much of the understory at the north end of basin 3 is blanketed with dense stretches of mugwort and japanese knotweed. 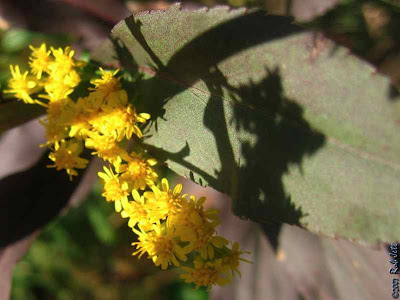 Where the invasives haven't taken hold we found a nice assortment of goldenrod and aster species. We also found the remains of some old homeless encampments. 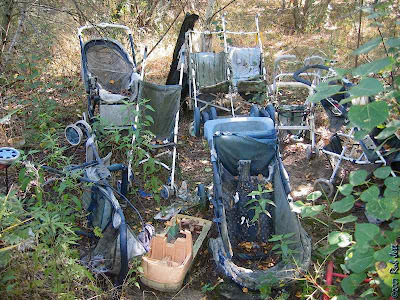 Plants have grown up through makeshift living quarters indicating that they had been abandoned for a long time. A collection of baby strollers might have been humorous in another context, but juxtaposed with the basin's isolation and wildness it felt like the setting for a scene in an Alfred Hitchcock film. Years of rain water running into the basin had pushed sediment up around the stroller's wheels. I imagine that, given enough time, they would eventually disappear into the soil. A single White Snakeroot plant was growing in one overturned stroller's sunshade. I walked through the center of the stroller formation and, for reasons I can't explain, made a conscious effort not to move any of them. A small flock of Wood Ducks continue on the lake of basin 2 but has increased by one bird. 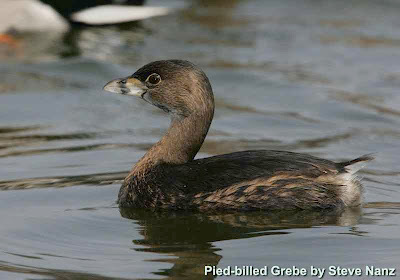 The Pied-billed Grebes that have been present for a month have increased from 3 to 5 individuals. We started to wrap up the morning at 10:30AM, by which time we had tallied 51 species of birds, 11 of which were warblers. At 5:30PM I rushed down to 5th Avenue to catch the bus to Green-Wood Cemetery. 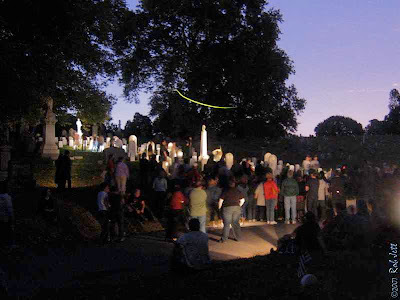 Historian Jeff Richman was leading another night tour of the cemetery. Dressed in a top hat and trailed by a pair of musicians playing 18th and 19th century music on accordion, he always puts on a great show. The weather forecast called for a cool and clear evening, perfect for the harvest moon. I planned on taking some night photos, so I brought along my tripod and spotting scope. When I arrived at the cemetery's ornate, Gothic Revival entrance, I was met by Joe Borker. I noticed that he had something small and brown in his hand. Apparently, a Swainson's Thrush had crashed into a window and was still stunned. Joe, who has done a lot of bird banding, knew how to handle birds and carried it away from the crowds arriving for the tour. It would have probably been stepped on. Marge was there with her son, Jean Luc. 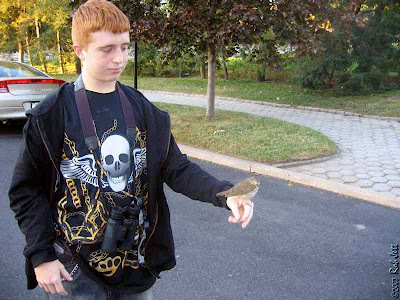 Jean Luc loves birding and nature, so Joe patiently showed him how to hold the thrush. When he released the bird it decided to stayed perched on his hand for a moment, then flew off towards the safety of a planting of shrubs and flowers. There were about 50 people in the tour, a little too many for my taste (especially when they are all playing with flashlights), so I walked slowly and remained at the back of the crowd. Joe has lead the historic tour many times, so he gave me a synopsis at each landmark. There were several stops along the route where I noticed bats flying low over our heads. I only had one battery for my camera, so I couldn't waste power trying to catch a bat in flight. I also noticed that there were still some active fireflies. It seemed late in the season to see them flashing, but then again it has been feeling more like the dog days of summer than October. After dark, I shot some very long exposures of the tour group. 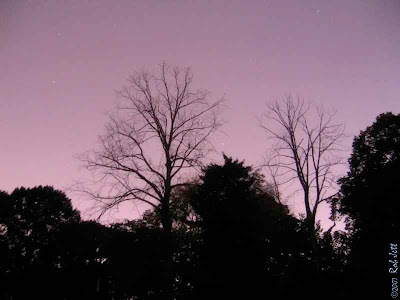 In one photo the green, luminous trail from a firefly can clearly be seen. At the end of the tour, I set up my scope and focused on the moon. I had read that, during migration, birds can sometimes be seen flying passed the moon's illumination. Sure enough, within seconds I spotted a few birds. Some were actually circling around in one spot. 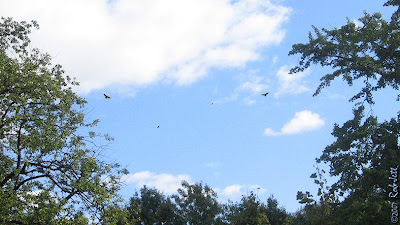 They weren't bats, but they were fluttering around, acting as if they were catching insects. Maybe some birds that don't normally feed at night are able to grab insects when they are migrating over a bright urban center such as New York. I tried to take some photos through my scope. I thought it would be interesting to see the trails of the birds in front of the moon, but a breeze was making the tripod move too much. I'll have to try it again sometime when there's no wind. The parrot, that is. 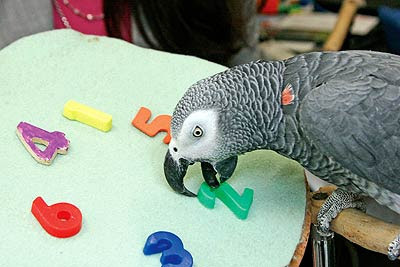 I first learned of the famous African Grey Parrot while watching a program on PBS called "Nature: Inside the Animal Mind". The clever bird became sort of a little inside joke between me and my wife. His death seems odd to me because he was only 31 years old and parrots are known to sometimes outlive their owners. You can read his obituary on the Economist website. Three days without Internet access! This is New York City, not Nome, Alaska (no offense, Nomians)! I'm supposed to be back in business by tonight. 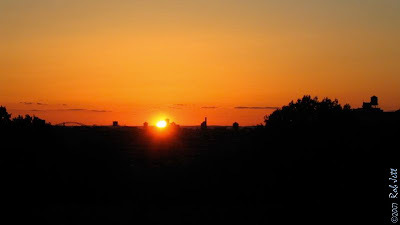 Check back soon as I have some Ridgewood Reservoir updates and Green-Wood Cemetery night photos.